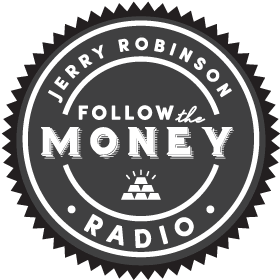 On today’s show, economist and FTMDaily.com founder Jerry Robinson shares four of his economic forecasts that will literally shake America to it’s core. Later, Jerry provides a geopolitical update covering several topics including Saudi Arabia and Iran. Later, Precious Metals Advisor, Tom Cloud, provides a cutting-edge update for gold and silver investors. 1. The biggest stock market crash in U.S. history still lies ahead. We estimate that the U.S. stock market will crash 50%-60% from its peak. The question, of course, is always about the timing. While no one knows, we do actively monitor the U.S. stock market with our Market Barometer. 2. 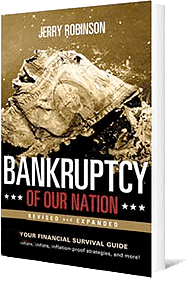 The U.S. dollar will crash when the petrodollar system finally implodes. Listen to the show to hear what headlines to watch for… Also, learn more about the Petrodollar system here. 4. Chaos will fill America’s cities as government services will decline. This is why I moved my family out of the city and into the countryside. We saw the ‘writing on the wall’ and are now committed to sustainable living. PODCAST: Do You Have An Escape Plan? According to the Platinum Quarterly report, released by the World Platinum Investment Council, global platinum demand outstripped supply by 700,000 ounces in 2014. This is the third consecutive annual shortage of platinum and 2015 is turning out to be no different as analysts expect another deficit this year. Automotive, jewelry, and investment demand are all forecast to increase in the coming year. Platinum is a unique precious metal with unique properties that make it invaluable in certain industrial applications. However, we believe its investment potential is still greatly underappreciated by most global investors. In this final segment, Jerry Robinson provides an important geopolitical update with special commentary on Saudi Arabia and Iran.